One month to this date (June 17th) I will get to see my Minnie (my cat) again!! Oh, I miss her soooooo much!! I can’t wait to see her again! During the day I stayed home and started to work on my poster boards for my presentations that I’ll be doing this week. In the afternoon I went to the waterfront with Kim and her two grandchildren (Austin and Alexia). I really, really enjoyed our time at the waterfront! I couldn’t believe how much dolphins that we saw and how close they were to the sea wall. It was incredible to see them so close and in their nature environment. 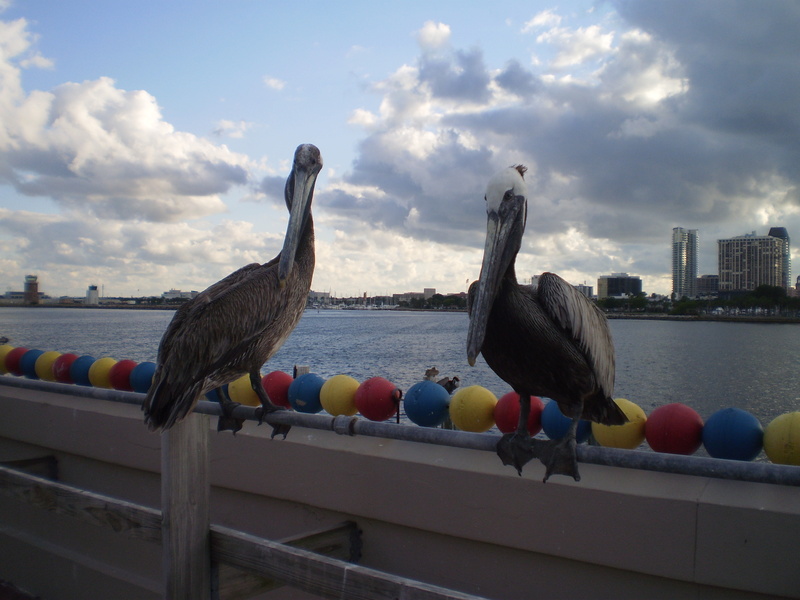 We also saw a lot of pelicans at the pier and lots of other birds too. It was great to go to the waterfront, see the wildlife and enjoy the fresh air. In the evening I continued to work on my poster presentation boards and I also watched “The Biggest Loser” as well. It was another great day!